The Chevrolet Corvette is the iconic American roadster, and has been a favorite with driving enthusiasts, muscle car fans and performance aficionados for over half a century. This year marks the model’s 65th year that the has been in production, and we are getting a special treat for this model year of this exciting car. The Carbon 65 edition is an exclusive for the 2018 model year, celebrating 65 years of this amazing vehicle. Equipped with a special body kit, a unique interior and, as the name implies, lots of carbon fiber, it is a loving ode to what we love about this American-born racecar. The Carbon 65 edition is going to have a very limited run, with less than a thousand vehicles available world-wide, so be sure to order yours quickly! You can do so by contacting us at Libertyville Chevrolet, serving Libertyville Chicago Illinois as well as the rest of the Chicagoland area. We have put together this little review to tell you just what exactly this model offers, but you can also learn more about it by contacting our dealership directly, where our sales staff will be happy to tell you all about what makes the Carbon edition so unique. The exterior is the same as on the standard 2018 Chevrolet Corvette Grand Sport 3LT and Z06 3LZ trims, which are the only models available in the Carbon edition, along with the addition of, you guessed it, more carbon fiber. There is a big patch of carbon straight in the middle of the car’s hood, announcing its status, as well as carbon ground effects and spoiler, with the body slightly adjusted to properly show off both. On the coupe model, the roof and the air intake covers are also made of carbon, while the convertibles get a carbon tonneau cover and a blue roof instead. Blue is the accent color of choice for the Matrix Gray Carbon edition, with not only the interior stitching but also the “CARBON 65” exterior badging and even the brake calipers featuring the same striking blue hue. That makes your car stand out in a crowd like nothing else can. 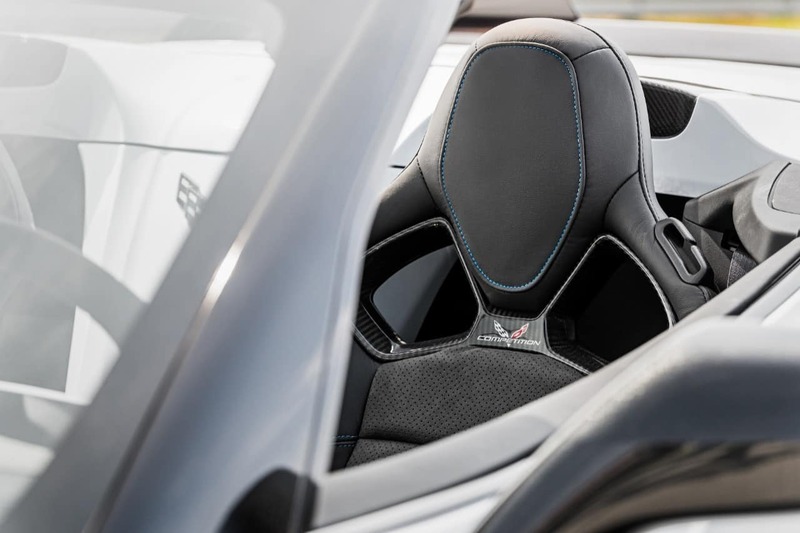 As befits a limited-run model, the 2018 Chevrolet Corvette Carbon 65 has a unique interior that you can’t get anywhere else, and won’t be able to get at all once the entire run sells out. Inside, you will find the comfortable and well-bolstered Competition Sport seats, which are covered in a soft layer of black suede and punctuated by striking bright blue stitching. And, true to the name, there is carbon fiber everywhere throughout the interior, with most of the accents made from this shiny black compound. Even the steering wheel is carbon-covered, constantly reminding you of your car’s unique heritage. 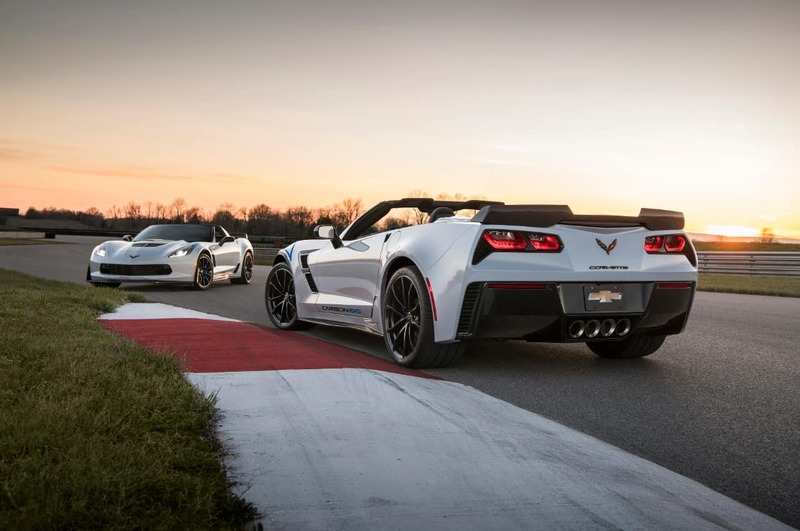 The 2018 Chevrolet Corvette Carbon 65 has the same excellent mechanical underpinnings as the rest of its stablemates. That means precise sports steering and a tight, race-ready suspension. Since all Carbon 65 models are based on either the Grand Sport or the Z06 models, they also get the Magnetic Selective Ride Control suspension as a standard feature, giving you the ability to soften up the car’s ride for everyday use and tighten it back up for race days. The car as delivered is quite race-ready, complete with high-performance summer tires for maximum grip, as well as an amazing Performance Data Recorder app that lets you review the nuts and bolts of each lap you do, including statistics like the speed of individual wheels! Want to see just what kind of power this little app puts at your fingertips? 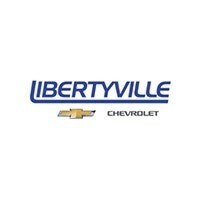 Stop by our Libertyville Chevrolet location in Chicagoland, serving Libertyville Chicago Illinois for a full demonstration from one of our product experts! 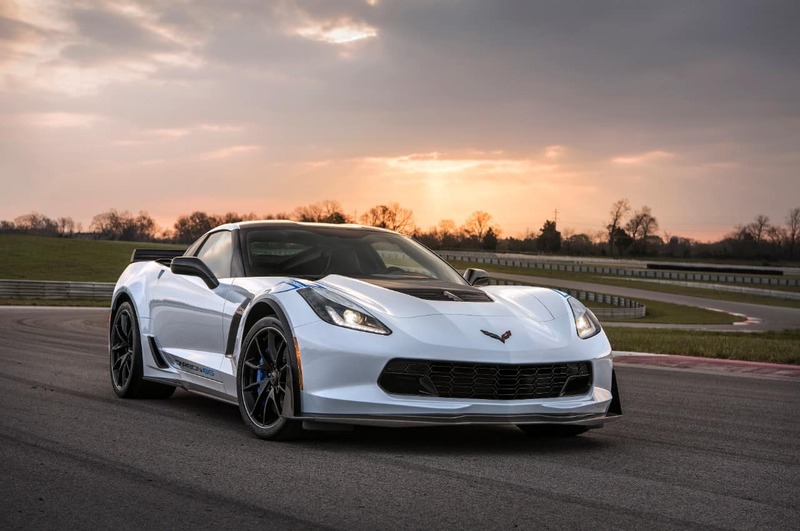 The Carbon edition is available with both of the engines from the 2018 Chevrolet Corvette lineup, as well as both manual and automatic transmission. Both are 6.2-liter V-8s that put incredible power at your disposal. The base, available on the Grand Sport Carbon 65 model, is naturally aspirated and puts out 460 horsepower. That gives it the ability to hit 60 miles per hour in less than four seconds from a full stop, and finish a quarter mile in just 12 seconds. The Z06 models use the same 6.2-liter engine, but add a potent supercharger on top of that to squeeze as much power out into the wheels as possible. The forced induction pushes this speedster to 650 horsepower and some incredible lap times. With the available eight-speed automatic, the zero-to-sixty time is under 3 seconds. 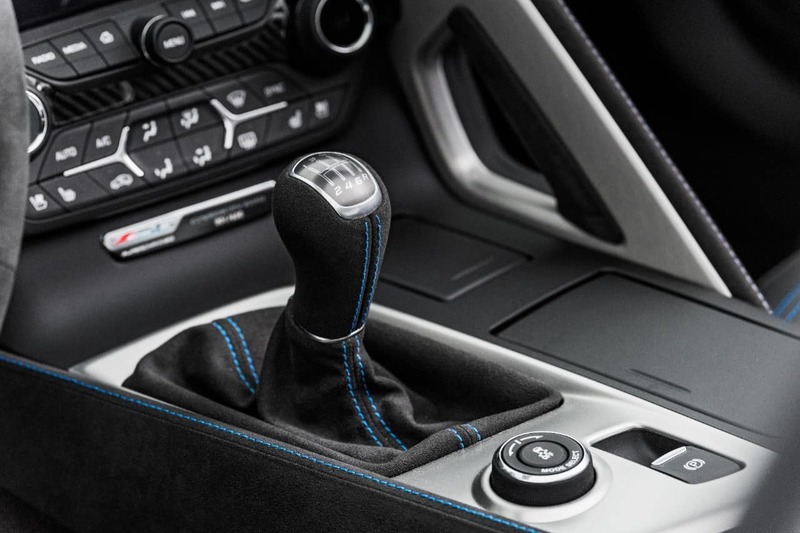 The seven-speed manual is slightly slower, but is very responsive and will easily meet the approval of hands-on drivers. While safety may not be the first thing on the mind of someone reading a review of a limited-edition race car, that was not the case with the engineers that built the Carbon 65 edition. Underneath the carbon fiber is a durable frame meant to mitigate impacts, while both a rear-view and a front-view camera allow you to keep an eye out on your surroundings. An infotainment system with OnStar, Bluetooth, full smartphone integration and an optional heads-up display allows you to keep your eyes on the road at all times, while still getting the benefit of your technology. 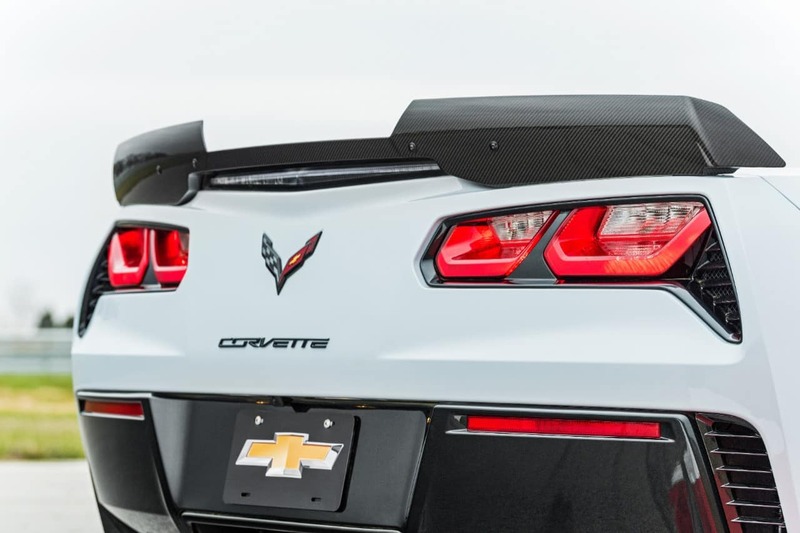 The 2018 Chevrolet Corvette Carbon 65 is a unique chance to be a part of a historic moment for this American classic, and we are excited to have it available at Libertyville Chevrolet. Serving Libertyville Chicago Illinois and the rest of the Chicagoland area, we are available for any questions you might have about the Carbon edition, as well as to help you secure yours from the limited stock! Give us a call today and see what we have in store for you!